The rapidly developing community of Cedar Falls is a great place to work, expand your business, and raise a family. Ample job opportunities, great schools, and a small-town community feel are just some of the reasons we love calling Cedar Falls home. 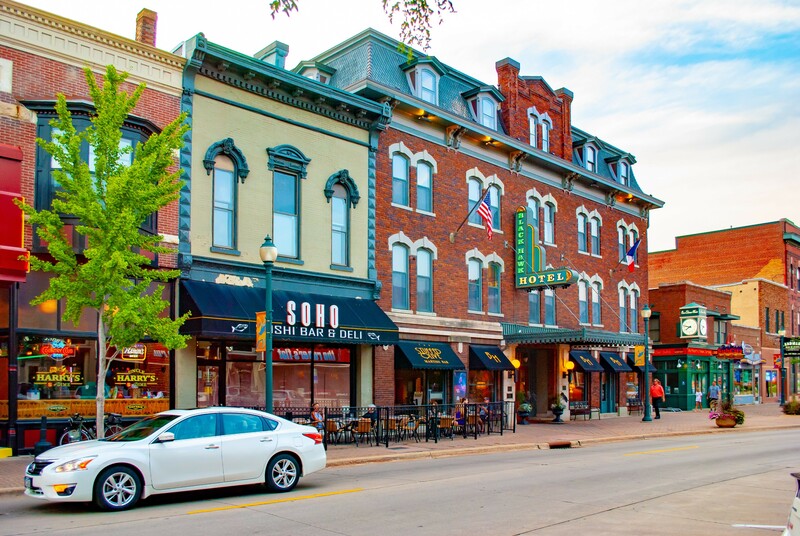 We believe that variety is the spice of life with a plethora of shopping, restaurants, and entertainment to choose from in this main hub of the Cedar Valley. Plant your roots in this established, yet rapidly developing community. Discover why Cedar Falls, IA is known for being one of the best cities to live in Iowa by continuing to read below. Cedar Falls, IA real estate offers something for everyone, from modest family homes to luxury estates, untouched residential land to commercial property. If you’re looking to live within the city limits, you’ll find a variety of home styles to fit almost every budget. Rancher-style and two-story homes with vinyl or wood siding are commonly found in quiet suburban neighborhoods. These homes are suitable for families with multiple bedrooms and bathrooms and comfortable living spaces. Whether you’re looking for your turn-key home, your next project, or to invest as a rental property, you’re sure to find the right home for sale in Cedar Falls. Luxury homes for sale in Cedar Falls often have beautiful brick, stucco, or stone exteriors with manicured yards and plenty of parking. The interiors of these homes are equally as striking. These homes often offer large, airy living spaces, a number of bedrooms and bathrooms, and carefully designed finishing touches. If you have a passion for hosting, these homes will be a dream come true. If you’re looking to build your dream home from the ground up, there are plenty of options available for you right here. Be the first to break ground on an untouched lot to build your forever home or construct your next investment property. In the market for commercial properties? The team at Fischels Commercial & Residential Group will put their years of knowledge and expertise to work to find you the best property to fit your specific needs. Cedar Falls, IA is a city dripping with charm and history. Whether you were born and raised in Cedar Falls or relocating here, you quickly discover just what it means to belong to a community. Locals here are passionate about the rich history, traditional special events, and sporting events. Indulge in the city’s up-and-coming arts scene, dine in one of the many local eateries, there’s no shortage of things to do in Cedar Falls. Part of being a great place to live includes being a great place to work. Cedar Falls has a rapidly growing economy coupled with a low unemployment rate. Education is often an important consideration when deciding on where you and your family are going to plant your roots. Cedar Falls is home to 10 public schools, 2 private schools, and 2 post-secondary schools, including the University of Northern Iowa. If Cedar Falls, IA sounds like the place for you, reach out to the area experts at Fischels Commerical & Residential Group today. Listing information last updated on April 20th, 2019 at 8:13pm CDT.